DISTRICT OF COLUMBIA (AP) — Interior Secretary Ryan Zinke on Monday recommended that the new Bears Ears National Monument in Utah be reduced in size and said Congress should step in to designate how selected areas of the 1.3 million-acre site are managed. Zinke made the recommendation as part of an interim report to President Donald Trump on the scenic swath of southern Utah with red rock plateaus, cliffs and canyons on land considered sacred to tribes. He and other Republicans said the recommendation to reduce the size of the monument was in line with the original intent of the 1906 Antiquities Act, which states that monument designations should be the “smallest area compatible” with proper care and management of the site. “This recommendation reflects a balance of our shared priorities of protecting this land and the antiquities that are found on it while still preserving local involvement and taking into consideration the needs of the local communities,” Hatch said. Zinke toured Bears Ears last month on foot, horseback and helicopter and met with Utah Gov. Gary Herbert and other state leaders. Herbert and other Utah Republicans oppose Obama’s designation of the Bears Ears monument. Trump signed an executive order in April directing Zinke to review the designation of dozens of national monuments on federal lands, calling the protection efforts “a massive federal land grab” by previous administrations. Trump and other Republicans have singled out former President Barack Obama’s designation of Bears Ears, calling it an unnecessary layer of federal control that hurts local economies by closing the area to new energy development. They also say it isn’t the best way to protect the land. Zinke, a former Republican congressman from Montana, said he wants to make sure Native American culture is preserved and said Congress should approve legislation granting tribes legal authority to “co-manage” some of the Bears Ears site. Environmental groups blasted the recommendation, which they said threatened the future of Bears Ears and boded poorly for a broader review of national monuments due in August. “The Trump administration’s announcement today on Bears Ears is nothing less than an attack on the future of all American monuments, parks and public lands,” said Jamie Williams, president of The Wilderness Society. The recommendation ignores thousands of public comments in favor of the monument and makes “a mockery of the claimed public process,” Williams said. 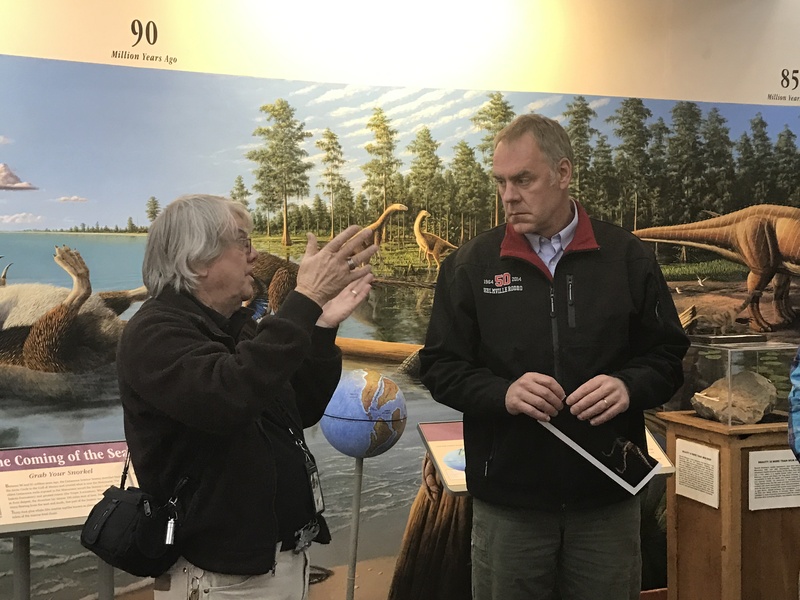 Zinke said he will issue a final report in late August, when he is due to make recommendations on Bears Ears and 21 other national monuments on federal land in 11 states, including Grand Staircase-Escalante in Utah, Giant Sequoia in California, Nevada’s Basin and Range and Katahdin Woods and Waters in Maine. Zinke rejected a plea by some Utah Republicans to recommend that the monument designation be rescinded entirely, an unprecedented step that would invite a near-certain legal challenge. Instead, Zinke said some of the sprawling, 1.3 million acre site should be designated for conservation or recreation, categories that are less restrictive than monuments. Noting the contentious nature of the monument designation, Zinke called on Congress to approve a land-management bill for Bears Ears and other federal lands. The Republican-controlled Congress has failed to approve a significant public lands bill in recent years, but Zinke said that was because of veto threats by Obama. Any undoing of Obama’s policies are fine with me. Jamie Williams, president of The Wilderness Society is also a committed supporter of the Big Bang Theory. What’s that tell you? I think this is a very wise approach and completely in-line with the intent of the Antiquities Act. Protect what should be protected. I hope he gives the same recommendation for Grand Staircase-Escalante, which could easily be 25% of it’s current acreage and still protect the parts that should be protected. When you drive from Johnson Canyon near Kanab through to Cannonville and realize that almost 100% of that drive is “protected”, and you look around at miles and mile and miles of mostly flat sage brush that is now off limits to everything from cattle to mineral rights you realize just how insane and over-reaching the original designation was. The Antiquities Act was to preserve “historic landmarks, historic and prehistoric structures, and other objects of historic or scientific interest” … “the limits of which in all cases shall be confined to the smallest area compatible with proper care and management of the objects to be protected”. You can stop on the road described above and literally look for a dozen miles in any direction and not see a single “historic landmark”, “historic or prehistoric structure”, or any object “of historic or scientific interest”. Grand Staircase-Escalante, like Bears Ears, should be scaled way back. Break it up into 2 or 3 non-contiguous pieces if you need to. Grand Staircase-Escalante and Bears Ears are the equivalent of going to the skin doctor to have a small benign melanoma removed from your elbow and the doctor puts you under and you wake up with your entire arm missing.